Home / Unlabelled / READ :Noynoy Aquino P6.4 Trillion in Outstanding Debt? READ :Noynoy Aquino P6.4 Trillion in Outstanding Debt? 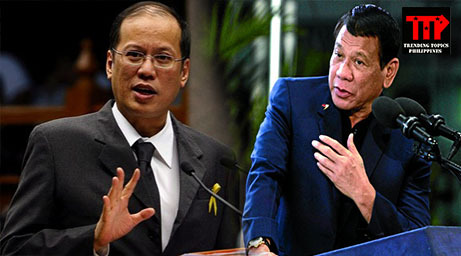 During the 2016 May elections, it was a tight battle between Roxas and Duterte, the Liberal Party (LP) wanting to secure another yellow presidency. But there are speculations as to why the LP wanted to place another LP candidate for presidency and prevent a different candidate to take over the Executive matters. One of these speculations state that the Liberal Party wanted to, as much as possible, secure another LP presidency is that they don't want Duterte to win in fear that Duterte might uncover any alleged illicit spending of the Aquino administration. External debt refers to the amount of money that a country owes to foreign or international creditors. By early 2016, the Philippines has an external debt with a total of $77, 658, 912, 000. In addition to that, the Philippine public debt by early 2016 is reportedly $163, 934, 972, 678. Public debt refers to the debt owed by the central government. Both the mentioned external debt and the public debt was during the Aquino administration. An amount of $500 million was released by the World Bank as loan by the Philippine government for rehabilitation programs for those affected by typhoon Sendong. There had also been a loan of another $500 million for Yolanda rehabilitation. Amidst all these loans, the government was reported to have received an amount of P73.31 billion as donation for the rehabilitation program for typhoon Yolanda victims. The real question of the citizens is: why does the Philippine government has to loan so much money when the Filipinos also have taxes providing the government with money to finance government projects?